The 2015 general election campaign officially begins on Friday, meaning candidates' spending will be subject to strict rules and limits. The "long campaign" runs from 19 December until Parliament's dissolution and introduces the first limits on individual spending in constituencies. From 30 March, the "short" campaign period will be triggered, and even tighter restrictions will apply. Election spending is regulated by the watchdog, the Electoral Commission. 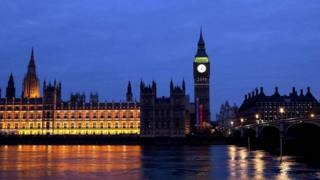 They apply to anyone who wants to become a candidate at a UK parliamentary election, which is to be held on 7 May 2015. Campaign spending in each constituency is strictly limited and candidates are required by the elections watchdog to keep a record of all expenses. The pre-candidacy spending limit, during the long campaign, is £30,700, plus 9p per voter in county constituencies, and 6p per voter in borough seats. During the short campaign, an official candidate may spend £8,700, plus 9p per voter in county constituencies and 6p per voter in borough seats. The government increased the amounts in August, to take account of inflation since they were last changed in 2005. Image caption UK political parties spent a total of £31.1m at the last general election. This was against the recommendation of the elections watchdog the Electoral Commission, which suggested an increase only in the short campaign limits to factor in inflation and changes to the length of the election campaign. Candidates must also declare all donations of more than £50 that they receive for election expenses. The regulated period for total party expenditure in the run up to the 2015 election began on 23 May 2014, and requires them to keep records of what they are spending. Prior to the 2001 general election there were no limits on what political parties could spend on national campaigns at a UK general election. The limit is calculated depending on how many seats a party contests; those that field candidates in all 650 seats are allowed to spend up to £19.5m, equivalent to £30,000 for each of the UK's 650 constituencies. Each party must ensure it abides by the spending limits in Great Britain. Separate limits apply in Northern Ireland. UK political parties spent £31.1m at the 2010 general election. The Conservatives accounted for 53% of this total, the Labour Party spent 25% of it and the Liberal Democrats 15%. This will be the first UK general election where tighter regulations on campaign spending by non-parties apply. The new rules - introduced by the 2014 Transparency of Lobbying, Non-party Campaigning and Trade Union Administration Act - apply to charities or organisations that campaign in the run-up to elections, but which are not standing as political parties or candidates. The act lowered the spending threshold at which groups have to register with the Electoral Commission. Those who spend or plan to spend more than £20,000 in England, or £10,000 in any of Scotland, Wales or Northern Ireland on regulated campaign activity must register and adhere to the rules on campaign spending, donations and reporting. There is also a £9,750 limit on the amount registered or non-registered campaigners can spend within a constituency during election periods, and controls on who can make donations and loans to them for the campaigning purposes. The RSPCA Campaigns Ltd, British Medical Association, GMB and Unite unions and the Woodland Trust are among the groups registered with the Electoral Commission. The lobbying bill encountered fierce criticism during its passage through Parliament from those worried it could restrict campaigns by bodies that are not party political.